MUSCLE SHOALS, Ala. – Nashville has long been known as the country-music capital, and Memphis proudly claims to be the home of blues and birthplace of rock 'n' roll. Tiny Muscle Shoals, which spawned the famous Muscle Shoals Sound, was once touted as the "hit recording capital of the world," but it has never had the glamour of more sophisticated Southern music meccas. It's a world away from the LA music scene, and that's partly what attracted such diverse music legends as Aretha Franklin, the Rolling Stones and Rod Stewart during Muscle Shoals' heyday in the '60s and '70s. The rural area was a refuge from the limelight and gave musicians a place to focus on their work with no distractions. But the main reason artists flocked to this obscure corner of northwestern Alabama was to get that indefinable, funky sound that couldn't be duplicated elsewhere. Many attribute that trademark sound, a confluence of country, rock and soul, to the smoking hot Muscle Shoals rhythm section known as the Swampers. A tour of the recording studio of Florence Alabama Music Enterprises, known as FAME, takes visitors back to a time when a revolution was under way in music. In the '60s, the lines between musical styles were blurred, and FAME became a hit factory for artists bold enough to experiment and find their own sound. Alabama native Wilson Pickett, a major player in the development of Southern soul music, produced some of his best work at FAME, including the 1966 sensation "Mustang Sally." 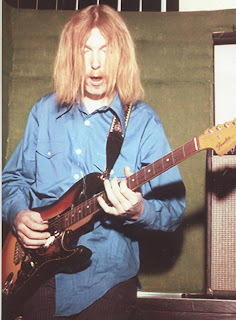 Many consider his soulful rendition of "Hey Jude," with Duane Allman on slide guitar, to be the birth of Southern rock. Ben Tanner, a FAME engineer who often conducts studio tours, directs attention to the Wurlitzer electric piano that Spooner Oldham played on Aretha Franklin's 1967 hit "I Never Loved a Man (The Way That I Love You)." He says it's still played today. Old photographs of Otis Redding, Little Richard and Clarence Carter adorn the studio walls, and fans get a chuckle out of the far-out, groovy fashions. Tanner points out that a number of successful black artists recorded at FAME, and he calls the studio "one of the first racially integrated workplaces in Alabama." While the battle for civil rights was raging in other parts of the state, black and white musicians played side by side in Muscle Shoals. In 1969, Cher released her album 3614 Jackson Highway, the address of the Muscle Shoals Sound Studio where the record was cut. Although that was almost 40 years ago, Cher fans still show up to have photographs made in front of the unglamorous building, imitating Cher's album cover pose. "It happens all the time," studio owner Noel Webster says. "People make pilgrimages here." Thanks to Webster, this building that was once vacant and condemned is now listed on the National Register of Historic Places. Fans from around the world arrive clutching albums and CDs by Lynyrd Skynrd, the Rolling Stones and many other bands that made history here. Some seem almost reverential as they check out old sound equipment and the instruments that were played on their favorite classic tracks. Webster bought the studio in 1999 as a venue where he could record his own music, but with so much interest in the studio's history, he has been thrust into the role of museum curator and tour guide, telling stories of legendary Muscle Shoals jam sessions. Even the bathroom is a source of fascination. David Hood, a bassist for the Muscle Shoals rhythm section, left behind his signature, as did many other renowned performers. Legend has it that Mick Jagger penned "Wild Horses" here. The Alabama Music Hall of Fame is a tribute to Alabama's musical heritage and honors distinguished Alabama music professionals of every genre. On entering the lobby, visitors take the "Walk of Fame," a path inlaid with a series of bronze stars. Each is engraved with the name of a famous Alabama musician. The Inductee Gallery features portraits of Hank Williams, Nat King Cole and W.C. Handy. A tour of "Southern Star," the tour bus once used by the country band Alabama, offers a glimpse of what life on the road was like. Band members slept in bunk beds and had a makeshift living room where they could relax between performances. For aspiring singers with dreams of chart-topping hits, making a CD in the museum's recording studio is a Hall of Fame highlight. A musical odyssey through northwestern Alabama wouldn't be complete without paying homage to W.C. Handy, father of the blues. The W.C. Handy Home and Museum is a two-room log cabin in Florence that originally stood several blocks from its current site. A knowledgeable tour guide sheds light on how Handy overcame some of his early struggles and how his most famous composition, "Memphis Blues," became a success. The piano on which Handy composed another famous piece, "St. Louis Blues" is on display as well as his trumpet and other memorabilia. Note: FAME and Muscle Shoals Sound Studio are both working studios; call ahead for a tour. •Alabama Music Hall of Fame, Highway 72 West, Tuscumbia; 1-800-239-2643; www.alamhof.org. •FAME Recording Studio, 603 E. Avalon Ave., Muscle Shoals; 256-381-0801; www.fame2.com. •Muscle Shoals Sound Studio, 3614 Jackson Highway. Sheffield; 256-783-2641; www.muscleshoalssound.org. •W.C. Handy Home and Museum, 620 W. College St., Florence; 256-760-6434. •Marriott Shoals Hotel & Spa, 800 Cox Creek Parkway South, Florence; 1-800-593-6450. •On The Rocks, 110 N. Court St., Florence; 256-760-2212; www.florenceontherocks.com. This is a great place to catch the Muscle Shoals Sound. Local bands play here regularly. Tracey Teo is a freelance writer in Indiana.